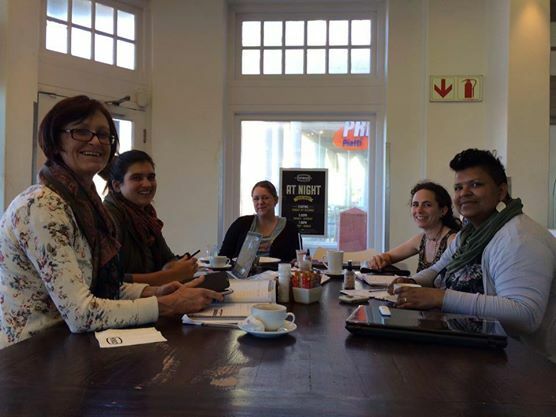 Our fantastic team (Marianne, Ruth, Sarah, Lana and I) working on the conference for 2014. Our main goal is to promote sharing and collaboration between birth professionals and the women they serve. Our aim with the yearly conference is to provide a platform on which both birth professionals, mothers and fathers can all come together to discuss and debate relevant topics. We hope that this space will provide fertile ground to inspire and create change in the South African culture of birth – whether encouraging more individuals to become caring, compassionate Doctors and Midwives, to helping find solutions to the deep crises in government maternity care, or to help mothers and fathers find their voice in decisions made at the highest levels. 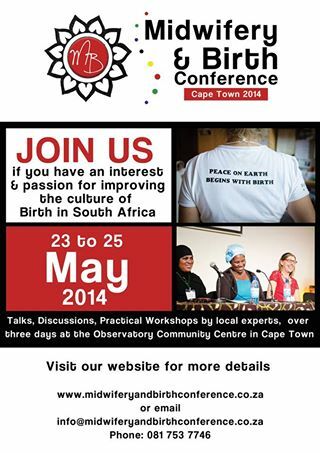 Please see – http://www.midwiferyandbirthconference.co.za for more info!